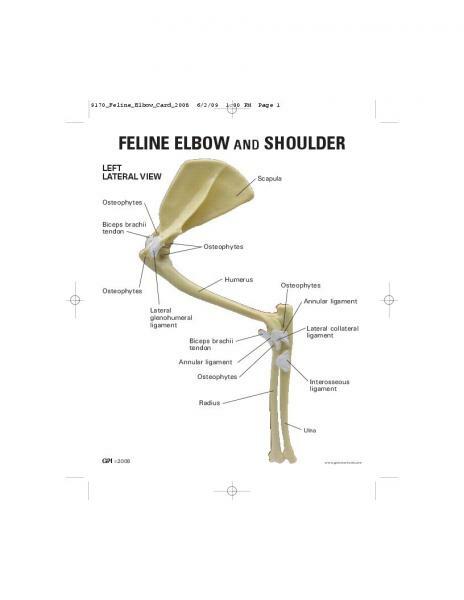 Average size feline elbow and shoulder features: normal bone and osteoarthritic changes to joints. 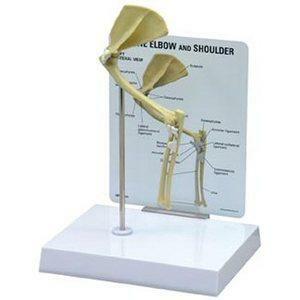 Model includes the following bones: scapula, humerus, radius, ulna and 9 important ligaments and tendons. Model Size: 7-3/4" x 4" x 7/8"